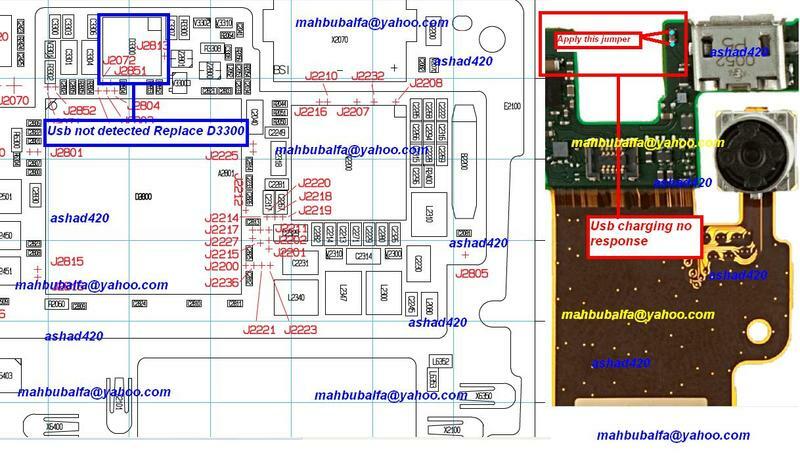 Nokia X3-02 USB not detected problem can caused by damaged D3300, the location of the part as shown by the picture below. USB on Nokia X3-02 can be used for transfer data from computer to your cell phone or otherwise. In addition, when your Nokia X3-02 has a software problem, you can upgrade or repair the software via the USB connector, for example by using Phoenix Service Software, MX-Key dongle, or update online by using Nokia Software Updater, all of them need USB connection. 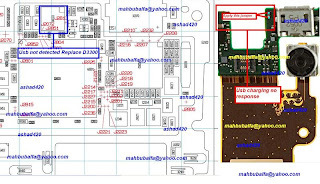 To solve your Nokia X3-02 USB connection, you can try to replace the D3300. Here is the picture guide for you.